Happy Easter! No, just kidding! 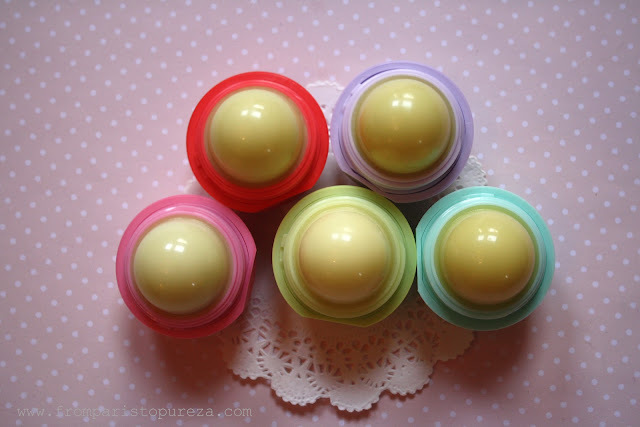 Don't you love these cute round lip balms? Just so perfect for the coming winter! Winter and I are not really in good terms, but at least there is something to be excited about this freaking cold season... And that is, the fruity taste of lip balms! I am a CHAPSTICK lover; I have been using it since high school up to now! So when I first heard of EOS (not so long ago) it really didn't bring any excitement, the name sounded like very DSLR-ish and CANON-ish to me! But they look so cute and so charming for me to resist and not to try! 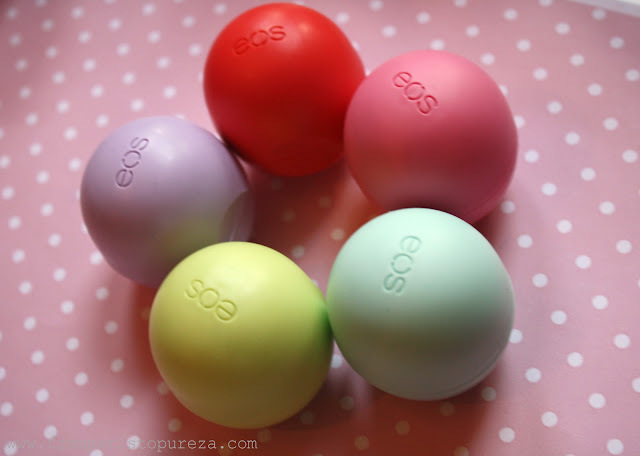 EOS stands for Evolution of Smooth, by the way. One thing I like is, it is 95% organic, 100% natural, and paraben and petrolatum free. It is best to shield my lips from drying factors, a great everyday balm for ladies who like a natural makeup look and a subtle shine on the lips! The taste and smell is fine, though for this I still prefer the smell and taste of Chapstick. 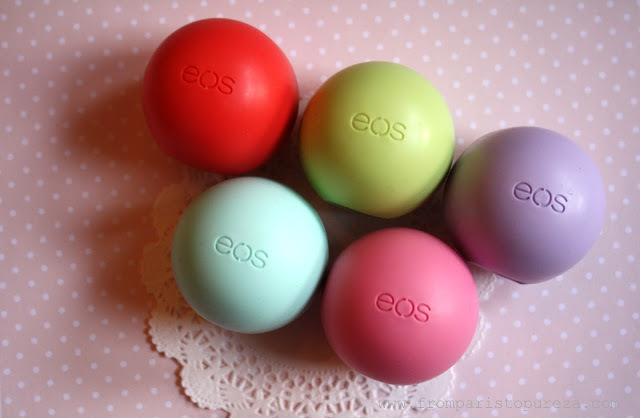 My favorite EOS lip balm is the green one, Honeysuckle Honeydew! The packaging is cute but bulky, I cannot put it inside my pocket. But the bulky round shape makes it easier to find it in my purse, by not mistaking for a pen or a lipstick. And because of its bulkier size, it will probably lessen the chances of losing it, unlike my Chapstick that I usually lose before I completely finish it! Quick tip: Always carry a moisturizing lip balm with you. A good lip balm will nourish your skin with vitamin E, jojoba oil, or whatever else you find most effective for your skin. You may not think about it often, but your lips are lacking a few things that the skin on the rest of your body has - oil glands, sweat glands and pigment. Whether it's summer or winter, make sure your lip balm has an SPF protection of 15 or higher, which will keep your lips from burning and flaking. And do you know that in several research studies, the size, plumpness and health of lips affected how sexually attracted a man felt to a woman. The healthier and fuller a woman's lips were, the higher the women rated on the desirability scale.